Using the country’s most advanced commercial carpet cleaning system, solutions and equipment, Compact Cleansing provides a unique multi-step process to ensure a powerful, deep-clean of carpets, which leave them clean, deodorised and residue-free. A combination of the deodorising and anti-bacterial agents present in the carpet cleaning system leaves carpets smelling fresh and free from bacteria. The powerful extraction machine ensures a deep clean and quick drying time. Professional cleaning will not only revitalise your carpets but also prolong their life span. 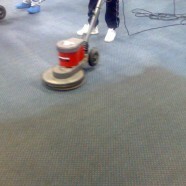 Interested in Commercial Carpet Cleaning Services?